Visit Walmart.com, Amazon.com & Target.com to try these products for themselves, or go to Biore.com to learn more! As someone that has combination skin, I am always looking for new products to try out that could work well with my skin. I tend to be picky about which skin care products I put on my skin--my face especially--because I want to make sure I have only the highest quality products and ingredients to apply onto my skin. 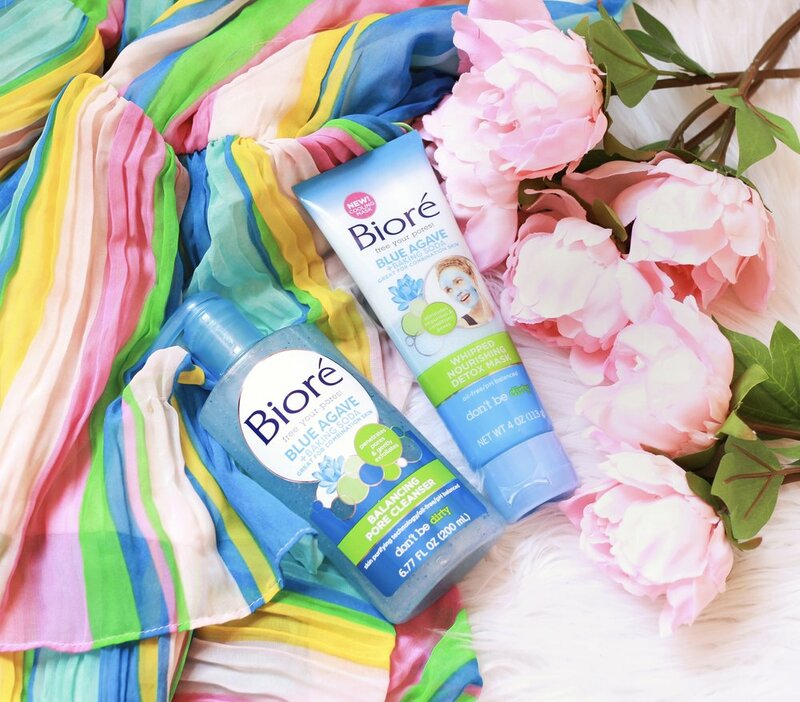 Recently, I have been trying out Bioré's Blue Agave & Baking Soda Balancing Pore Cleanser and Whipped Nourishing Detox Mask and I have been loving it so far! One of the things I hate most is when a product makes my skin extra oily and in turn prone for breakouts. It does the opposite of what I want it to do and then I have to spend weeks trying to undo the problem! What I love about both the detox mask and the pore cleanser is that it does not make my skin extra oily post use and provides great pH balance, so I don't need to use my toner anymore! One of the things I hate most about whipped face masks like this is that often times it leaves my skin feeling very dry afterward. This can be really upsetting especially if the reason why you bought it is so that it moisturizes your skin. This product though leaves my skin feeling very soft to touch and unlike the majority of other whipped face masks I have tried! Well there you have it! 3 reasons why I am loving this product and why you should try it out too!